Many women choose a tummy tuck after childbirth to return their body to a pre-pregnancy shape. Although the choice is cosmetic, researchers have discovered an abdominoplasty can actually improve two common health concerns: back pain and urinary incontinence. The information could help women find treatment for these post-childbirth health concerns and possibly even prompt insurance companies to cover these helpful surgeries. The abdominoplasty study was prompted by case study reports of patients improving back pain symptoms and incontinence after abdominoplasty with rectus plication. No large studies had investigated this claim, so surgeon D. Alastair Taylor and others in Australia decided to see for themselves if abdominoplasty's benefits really do go well beyond cosmetic improvements. This mini tummy tuck is a smaller version of abdominoplasty targeting only the area below the belly button. The procedure removes excess skin and fat, targeting mild sagging, stretch marks, and scarring from a C-section. Also known as a classic abdominplasty, this procedure removes excess skin and fat from the lower abdomen and repairs muscle separation of the abdominal wall. Mainly used after bariatric weight loss surgery, this lower body lifting procedure helps stretch skin on the thighs, buttocks, and other areas as well, targeting the connective tissue network below the dermis. This type of tummy tuck puts tension perpendicular to the High-lateral-tension method. The researchers recruited other surgeons across Australia, obtaining data on 214 post-childbirth patients in all between 2014 and 2016. Few patients had a miniabdominoplasty, and the rest were divided fairly evenly among the other three types. The mean patient age was just over 42 years, the mean body mass index (BMI) was 26.3 kg/m2, the average number of deliveries was 2.5, and the mean age of the patients' children was 5.2. Sixty percent of the women had experienced vaginal births and the other 40 percent had a C-section. The women filled out questionnaires before their abdominoplasty surgery, six weeks after their surgery, and six months after their surgery, including the Oswestry Disability Index and the International Consultation on Incontinence Questionnaire, helping determine the severity of their symptoms and their effect on quality of life. Before their surgery, 51 percent of the patients reported moderate to severe disability from back pain and 42.5 percent had urinary incontinence as a significant concern. That is not surprising, since these two health problems are common after childbirth. After their abdominoplasty procedure, most of the women experienced significant improvement in their health. At six months, the percentage of patients reporting moderate disability from back pain had dropped down to 9 percent, with further improvements after six months. For urinary incontinence, less than two percent of women were still experiencing a significant problem after six weeks and beyond. Younger patients who had their children closer together tended to benefit the most from the surgery. As for the type of surgery, it seemed it did not matter. Women experienced similar improvements in back pain and bladder leakage no matter which technique the surgeon used. Why Does Abdominoplasty Improve Back Pain and Incontinence Symptoms? The study authors believe the health symptoms improve because of muscle repair. One aspect of abdominoplasty surgery is the repair of abdominal muscle separation that can happen after pregnancy, and with this separation corrected, strength and stability return to both the abdominal and pelvic region. The researchers believe the reduction in fat and excess skin helps reduce the weight and strain the back must carry and the muscle tightening improves posture. What Does This Mean for Women After Childbirth? The study results are promising for women experiencing back pain and bladder leakage after childbirth. An abdominoplasty could give them an effective treatment option for these two concerns, along with the aesthetic benefits of the procedure. The study authors also believe the study results could have an effect on insurance coverage. Normally, cosmetic procedures such as a tummy tuck would not be covered by insurance benefits. However, this study demonstrates abdominoplasty has health benefits as well. If insurance companies began to cover the procedure, women could treat their back and bladder symptoms after childbirth, with the extra benefit of a cosmetic improvement. These health benefits of abdominoplasty come to light just as new statistics show the popularity of the procedure in the U.S. According to the American Society of Plastic Surgeons (ASPS), there were 129,753 procedures in 2017, a two percent increase from the previous year and a 107 percent increase from the year 2000. The procedure had previously fallen out of the top five procedures in the country but made a comeback in 2017. When patients are not able to improve their abdominal contour through weight loss and exercise alone, they may turn to a tummy tuck to remove their excess fat and skin as well as restore their muscles. Abdominoplasty is not for everyone, and luckily it is not the only fat-fighting procedure available in the U.S. Fat-freezing procedures, including Coolsculpting, increased 7 percent from 2016 to 2017. 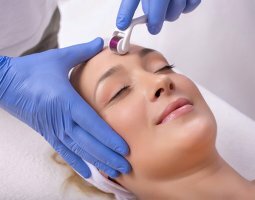 Non-surgical laser treatments increased 19 percent since 2016 and 55 percent since 2000, and non-invasive skin-tightening procedures increased 9 percent. Although Kybella deoxycholic acid injections are only approved for the chin area in the U.S., these procedures saw a 12 percent increase since they were approved in 2016, for a total of 62,587 procedures in 2017. Doctors in Europe and other locations use other brands of deoxycholic acid, such as Aqualyx, to target excess fat in the abdomen and other areas. Similar to a natural enzyme in the body, deoxycholic acid breaks up fat cells so their contents can be flushed from the body, slimming the target area. This offers a minimally-invasive alternative to liposuction when there is a more moderately-sized fat deposit. To learn more about Aqualyx deoxycholic acid solution, or to place an order, visit MedicaDepot.com or talk to a helpful customer service associate today.